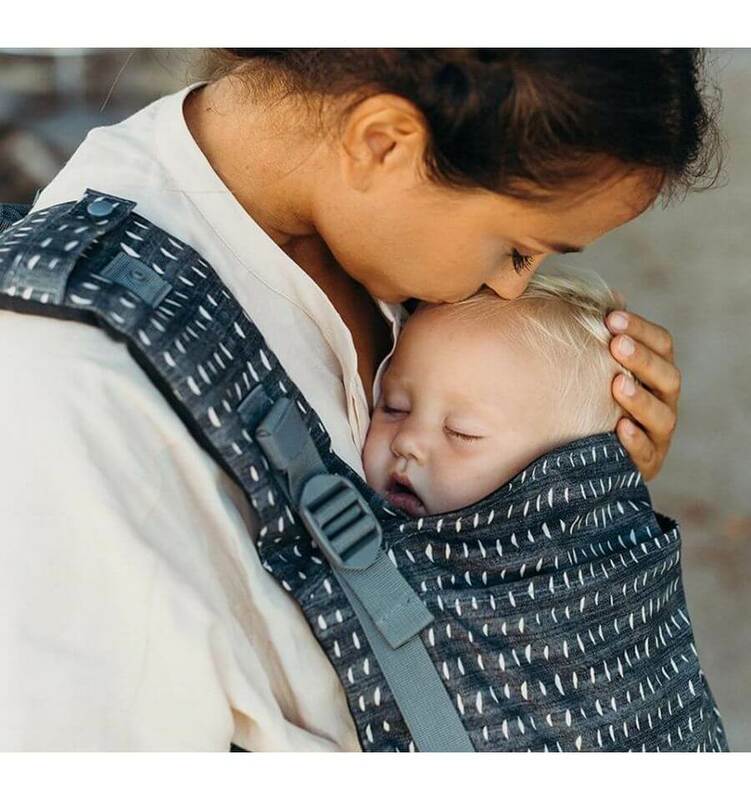 The Kokadi TaiTai is an ergonomic baby carrier that combines the advantages of a baby sling and a structured baby carrier. 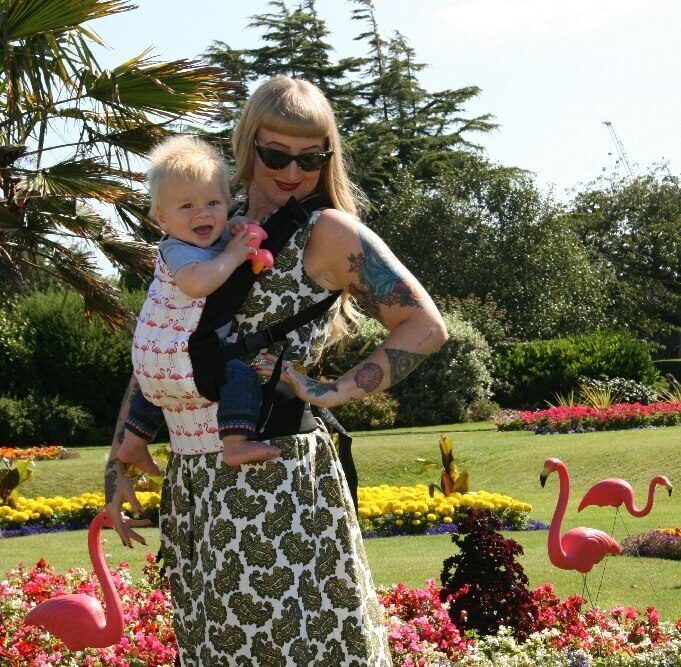 If you like using a woven baby sling but want the ease of a baby carrier, the Kokadi TaiTai is the perfect choice for you. The Kokadi TaiTai is a baby carrier suitable for newborns and babies until 1-1,5 years of 15kg. The width of the baby carrier between the legs of the baby is easy to adjust so that the baby carrier fits from knee to knee. This way your child always sits in the ergonomic M-position for a better hip development. 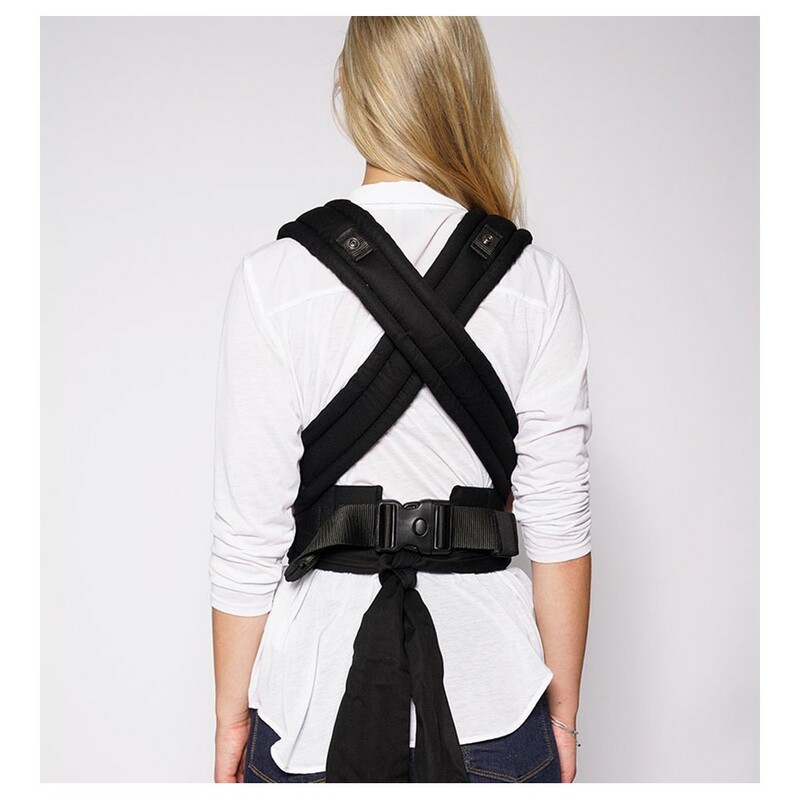 The hip belt and shoulder straps of the Kokadi TaiTai are padded and offer the ergonomic comfort of a structured baby carrier. 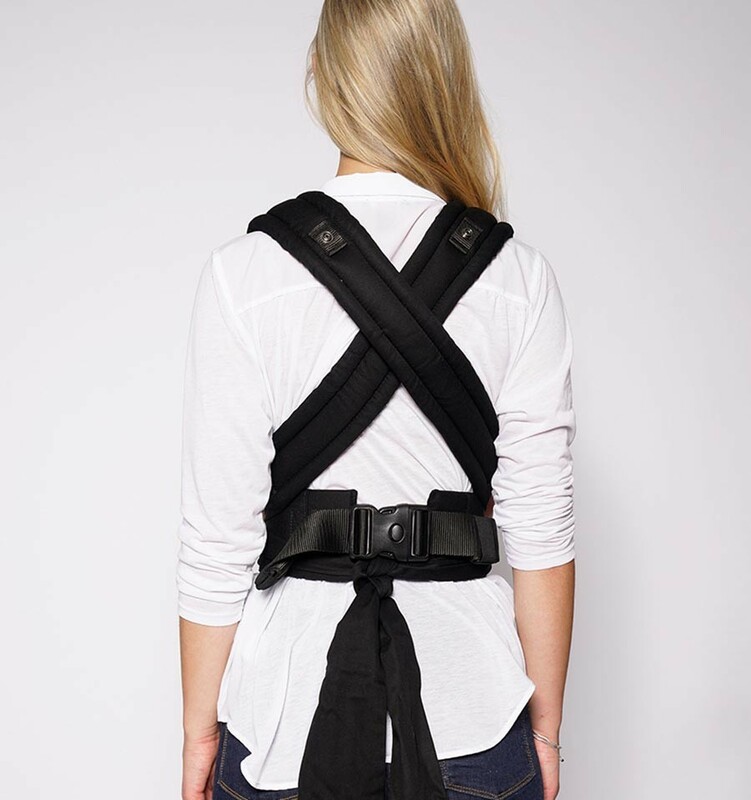 The hip belt closes with a buckle. 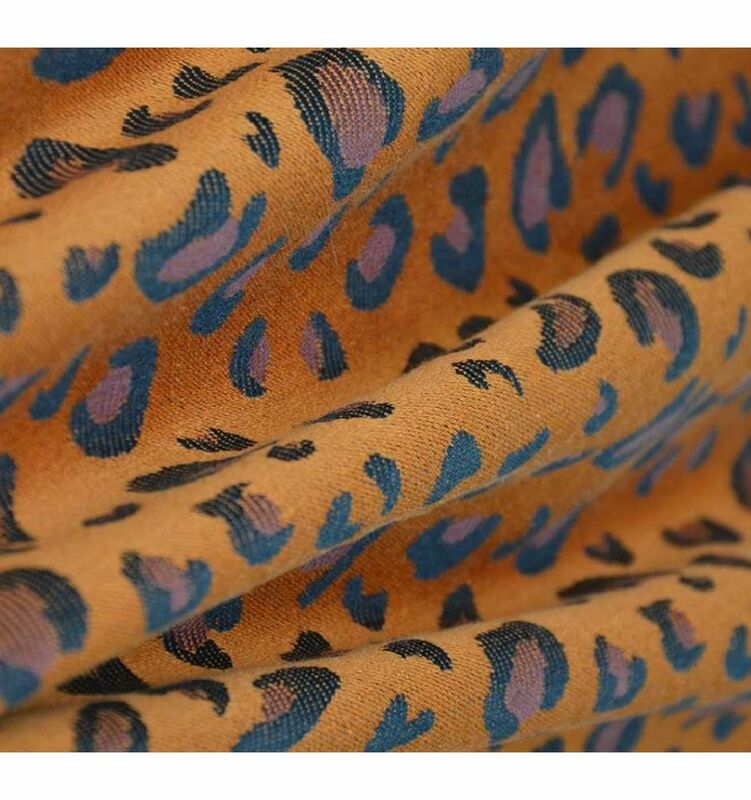 The shoulder straps are to tie like with a traditional Mei Tai. The advantage of the Kokadi TaiTai is that the baby carrier can be quickly and easily exchanged between people of different sizes. The back panel is made of the woven Kokadi sling fabric which offers the same baby wearing experience as with a woven sling. In addition, the Kokadi TaiTai has a headrest which also protects against wind or sun. 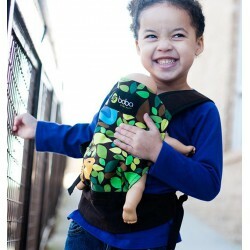 If it is rolled up, it provides extra support to the neck of your child.